Welcome, friends! 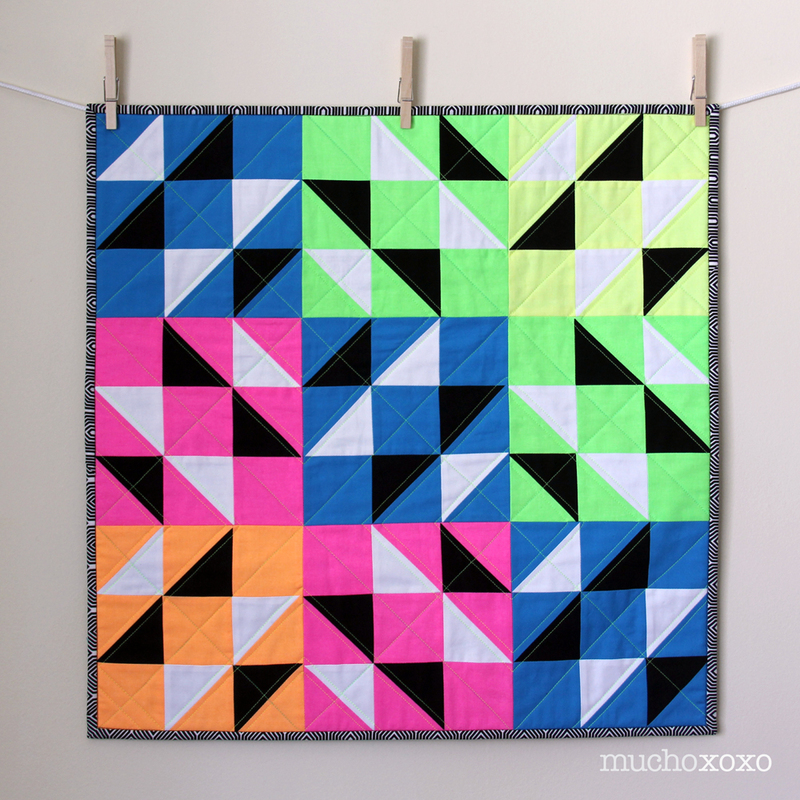 My second entry into the Fall 2014 Blogger’s Quilt Festival (small quilts category) is my Neon Sea Breeze! 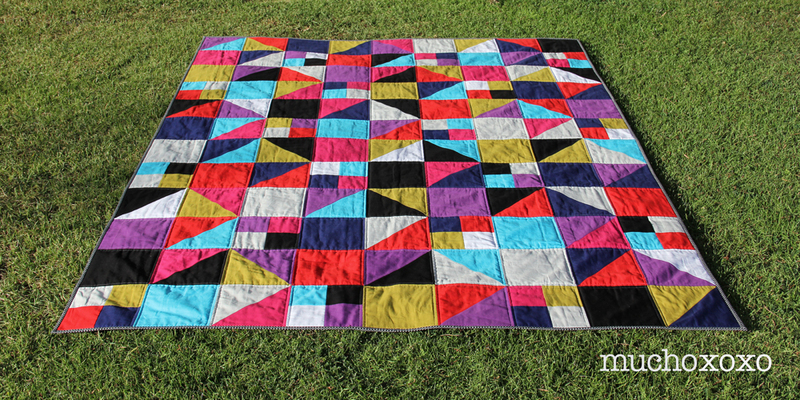 I made this quilt for my first ever QAL and blog hop, hosted by the awesome and awesome (yes I meant to say it twice) Angie of Gnome Angel. The pattern we used is the Sea Breeze Mini from Canoe Ridge Creations. I chose a combination of lively neons and black & white to play with contrast and really highlight the lovely and versatile design. I decided to keep the back simple and let the quilting be the main attraction. I used a neon yellow thread from Coats & Clark. It’s intense, but I couldn’t resist! 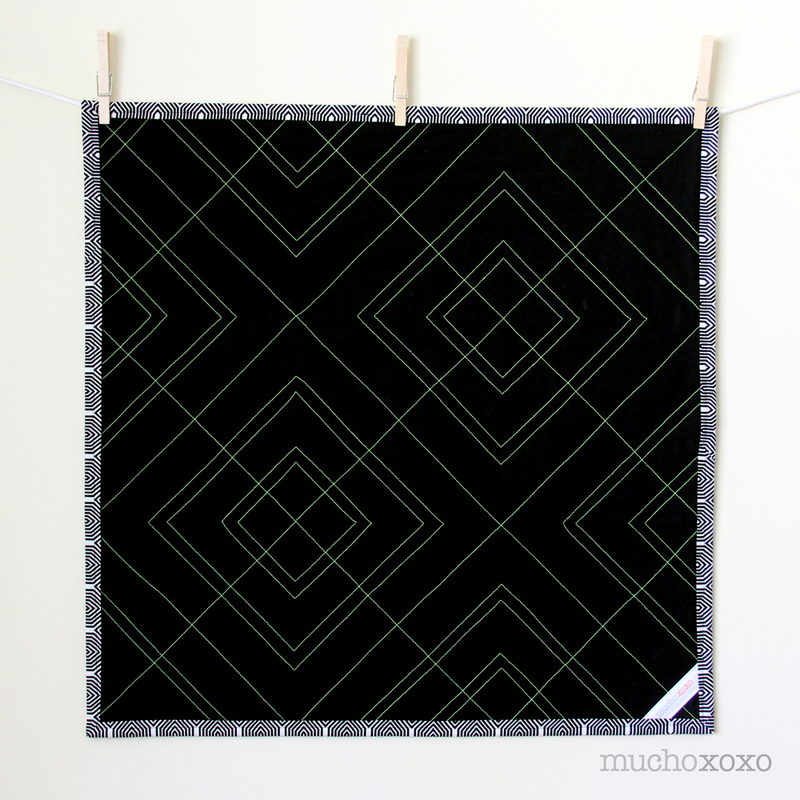 In keeping with the bold graphic look, I used a fun black and white print to bind the quilt. It’s not always easy to put yourself out there, but I’m so glad I did! 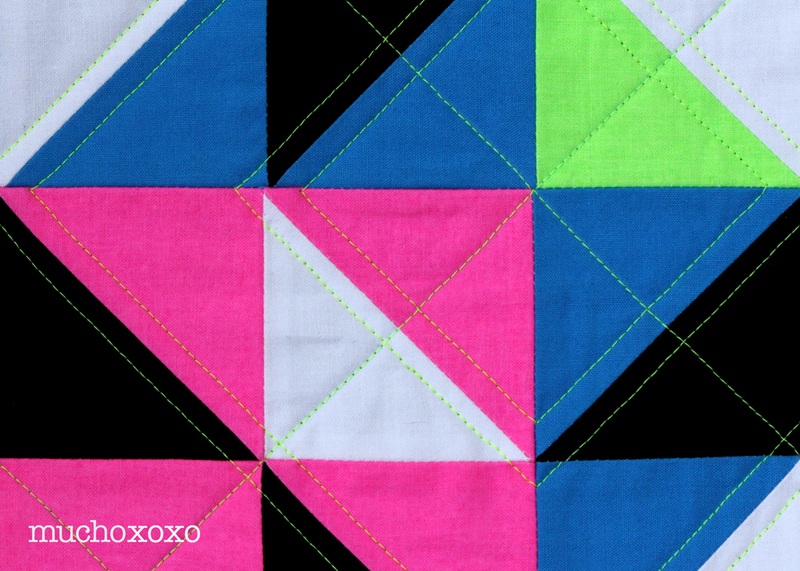 And because of that, this bright and happy quilt holds a very special place in my heart. Not only does it scream “Amanda,” it also introduced me to a whole new world of quilty friends. Really, such a welcoming and supportive group of people! 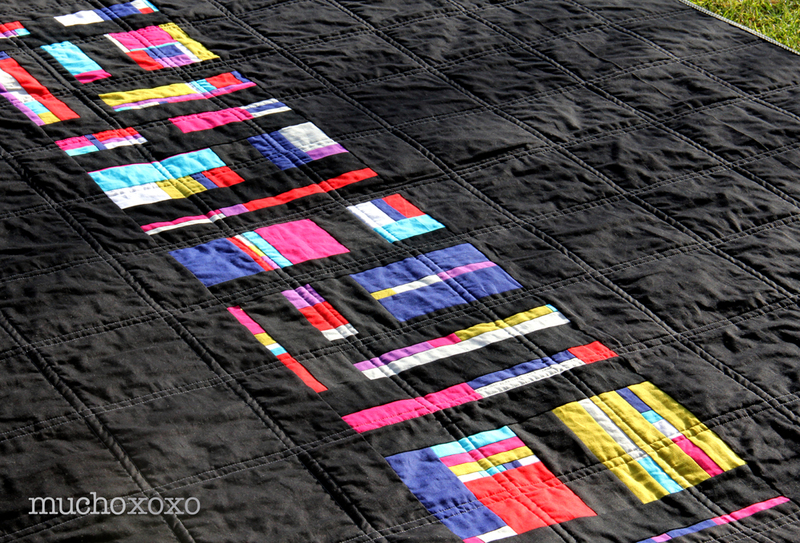 You can vote for my quilt in the small quilts category here from Nov 1 to Nov 7. 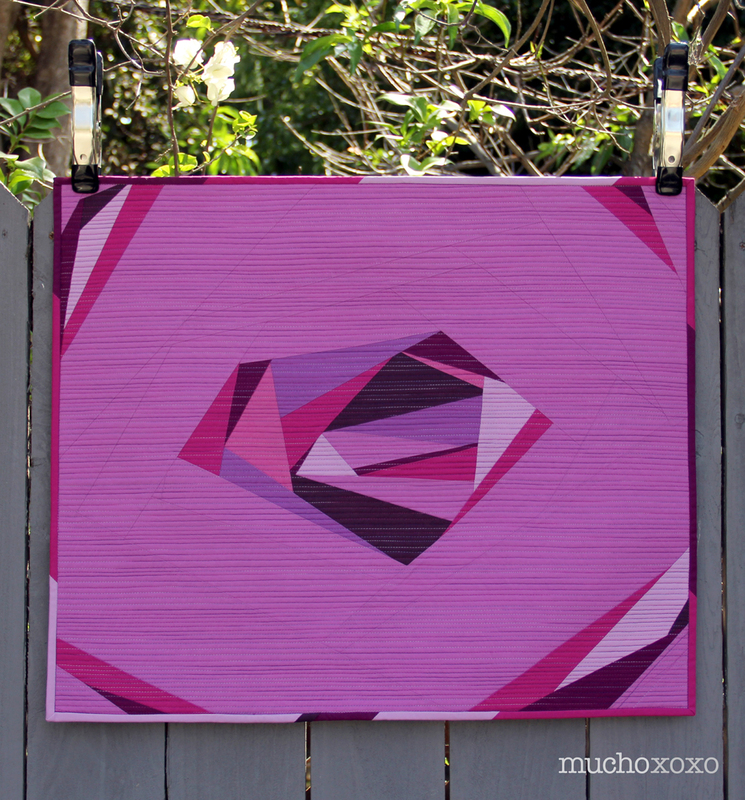 I’ve also entered my Radiant Gem in the modern quilts category, check it out here! A very big thank you to Amy for organizing the event. It’s quite an undertaking, and she has done a fantastic job, as always! The Blogger’s Quilt Festival, hosted by Amy’s Creative Side, is going on now, and instead of sitting on the sidelines this time, I’m jumping in and entering! 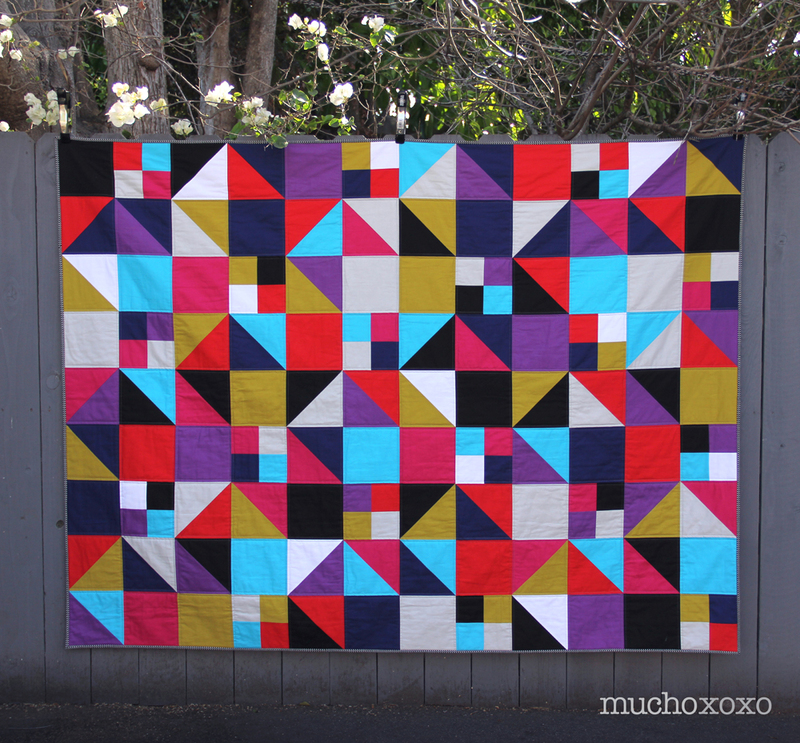 First up in the modern quilts category, my Radiant Gem improv quilt. Apologies to those who have seen it, bear with me as I get out all the details. And to all the newcomers, welcome! 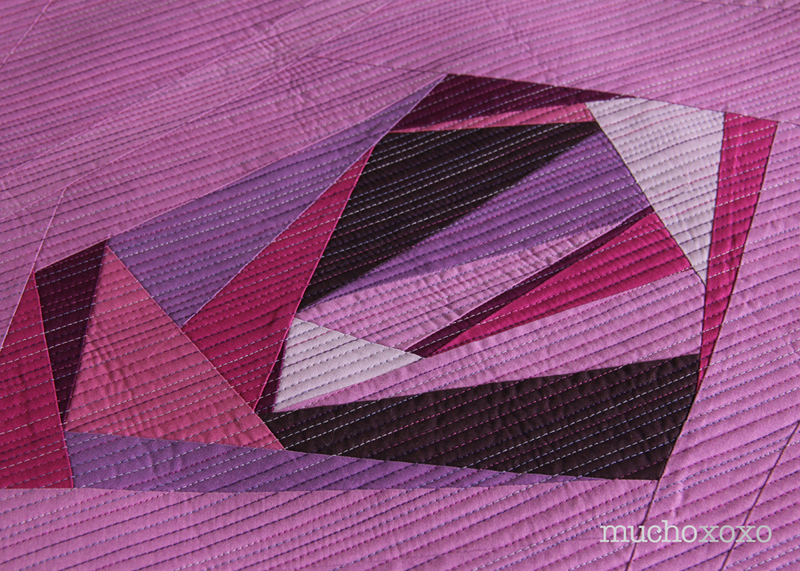 This quilt was made entirely with scraps from my Radiant Orchid Challenge quilt that were just too pretty not to do something with. 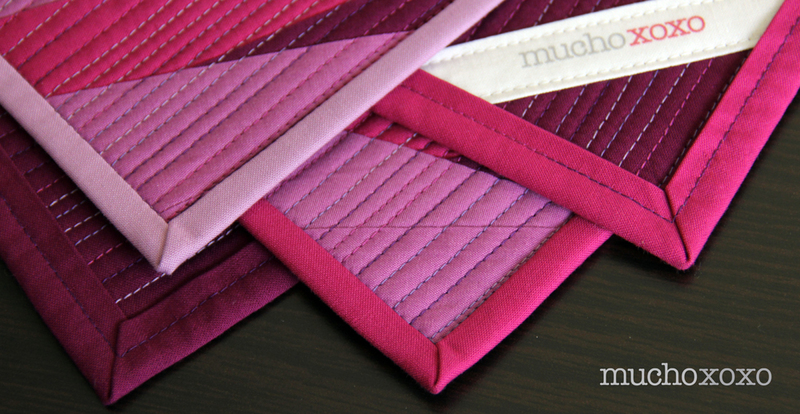 I chose to matchstick quilt with a delicious variegated plum-purple thread from Coats & Clark. This was my first time matchstick quilting. It’s not a fast process, but well worth the effort. 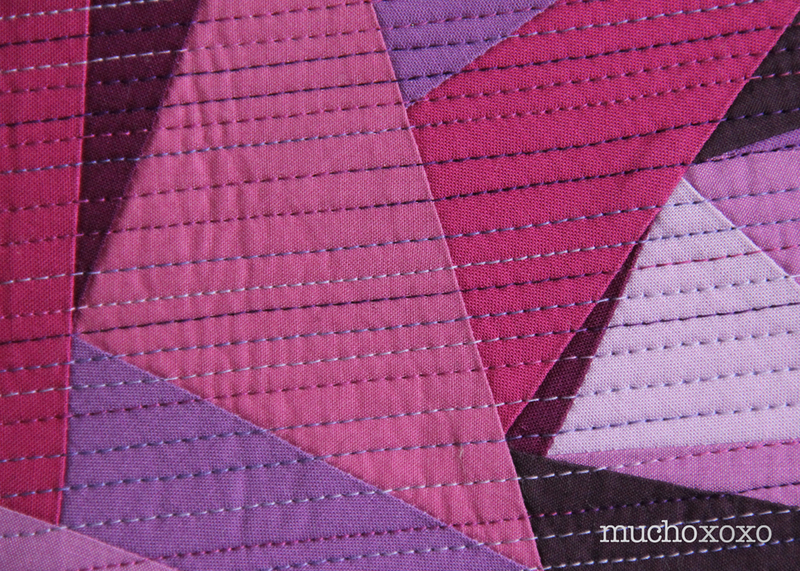 I used Kona Berry for the back to really show off the quilting, and I of course had to do scrappy binding. 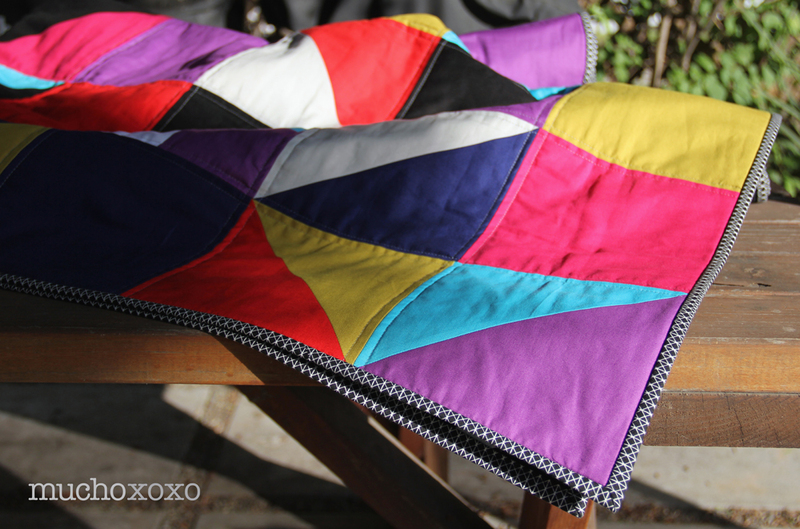 Of all of my quilts, I’m particularly fond of my little Radiant Gem. It was 100% improv, and I found the exercise very rewarding, and surprisingly relazing! It was the first time that I had absolutely no plan other than to just sit down and go (not always easy for me) and I just love how it turned out. Sometimes not having a plan is the best plan! 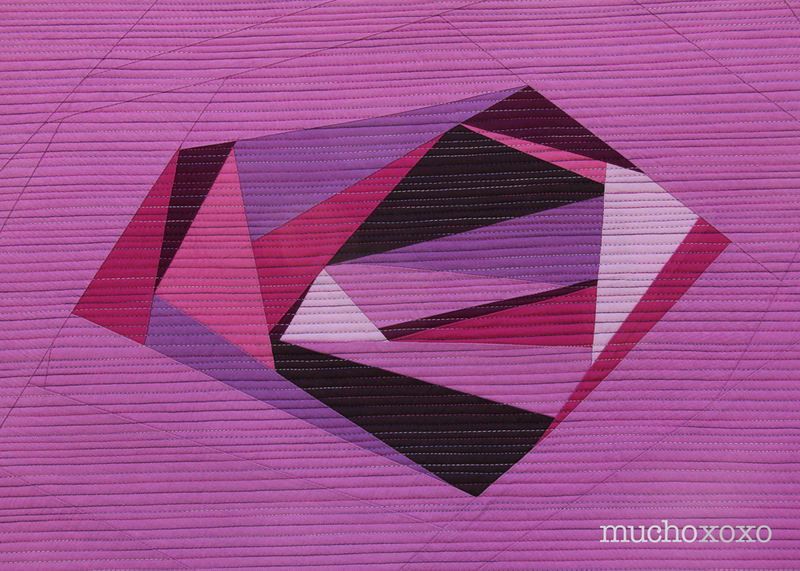 The Blogger’s Quilt Festival is always a wealth of drool-worthy quilts and inspiration. If you haven’t already, go to Amy’s Creative Side and take a look! 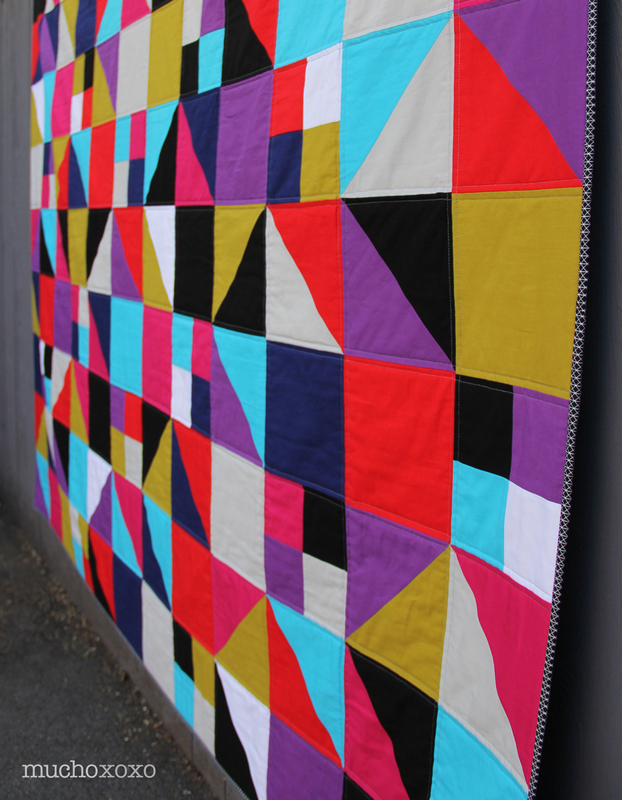 And, if you’re so inclined, you can vote for my quilt here from Nov 1 to Nov 7. 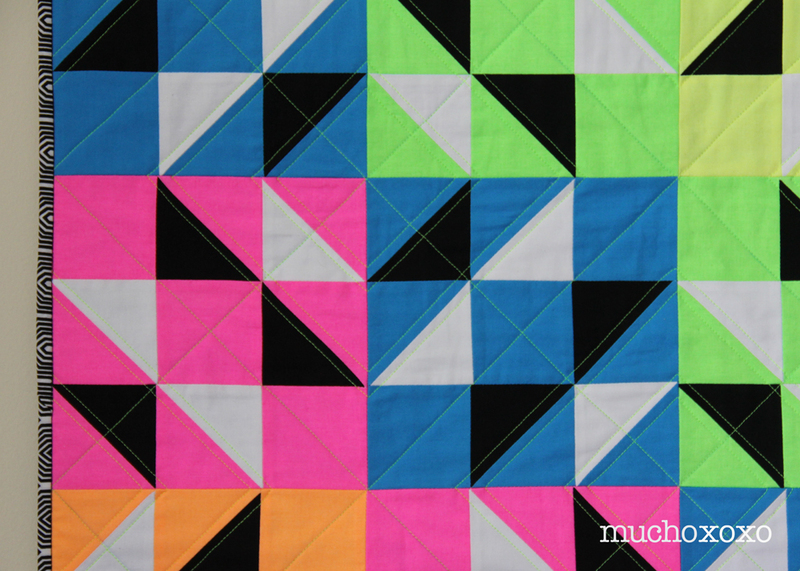 I’ve also entered my Neon Sea Breeze in the small quilts category, check it out here!